The first thing that Ron found was a section of extremely old baked-brick wall. But what was so exciting was the fact that the bricks were 70 cm. X 70 cm (about 28 ” by 28″) and a little over 5 Â« inches thick. As far as we have been able to find, the largest baked bricks found to date are about 20″ x 20″, 8″ smaller than these. The mortar between the bricks is black asphalt or tar mixed with what appears to be sand. So far, these things agreed with what we are told about the construction of Babel. This section of structure is angled upward, not straight like a vertical wall. He obtained samples of a portion of a brick, some mortar and some clay from the area for comparison. ArtifactsHe also found several artifacts which indicate the time of the occupation of the site in comparison with other sites in the region. He found several “shaped” stone objects which appear to be some sort of tools. One, with a hole in it, is termed a “palette” by archaeologists though we aren’t sure what it was used for. It has a shaped hole through it and Ron believes it was perhaps used for starting fires- by twirling a flint or other object in order to get a spark, flammable materials such as twigs or dry grass placed underneath the hole were ignited while stray sparks were prevented from flying outward. Just a theory- we haven’t tried it yet since it’s been so damp here. Other objects found were made of pottery material and one we think was a shuttle used in weaving. If placed in a little bag attached to a thread, it could have pulled that through the vertical strands. Another object has the appearance of a small wheel such as have been found in the same general region attached to small carts probably pulled by oxen. Ron’s specimen matches, in color and size, several complete carts found in the same general region (within about a 70 miles radius). Those features in AA, vol XXXVI, p. 165-171 are all made of a pale, buff-colored white clay with wheels from 7.5 cm. to 8.5 cm.- Ron’s is made of the same material of a light reddish buff and measures 7.75 cm. Because of the number of these found, it has been suggested that these early people had a belief similar in concept to some found in Voo-doo; that by fashioning small models of objects, they had a certain power over the true object the figurine represented. (EB, vol vii, p. 691). This may have been true to some degree that we do not understand because we know that the Egyptians believed that after a person was dead that their “spirit” needed certain objects to return to after “flying around”, such as statues of the dead person. They also believed that a person’s name, written on the wall of their tomb, was insurance against being cast into oblivion. When people wanted to “curse” someone already dead to this sort of doom, they would chisel away their name. They also knocked off the noses of the statues of those deceased because they believed their “spirit” entered the statue through the nose. So, perhaps these models of carts represented some paganistic belief concerning things related to commerce or farming. However, the wheel(?) also resembles whorls used for spinning. One author, when writing of these same objects found in the same region, states: “Spindle-whorls of stone, baked clay and bone and impressions of textiles on pottery are found in many sites… Spindle-whorls are indeed commonplace at ancient sites all over the Near East; and one common type is shaped like a miniature wheel and made of pottery…. The function of these small wheels is not always certain; they have bilateral hubs, giving them the appearance of belonging to model carts. Such carts are known from a number of sites in or near the Early Trans-Caucasian zone, and discs of hubbed form are even more widespread, occurring at sites in [Soviet] Georgia, Armenia, the Nakhichevan region, and eastern Anatolia…. The very number of the discs, however, mitigates against their invariable interpretation as parts of model carts or wagons…. It seems improbable that these people spent so much of their time making toys. Though some of these discs belong to model vehicles, most of them could perfectly well have served as one type, though not the only one, of spindle-whorl.” (PH, p. 74). What is at question here is whether these model carts were toys or for cultish purposes. The most important fact we learn here is that these forms are the most widespread in the area that Noah’s family originally lived in. This indicates that this object, whether spindle-whorl or cart wheel, was brought to the Babel area from the original home of Noah’s family. And by “brought” I mean the “knowledge and use of” was brought here, not the actual object. The Leg of a “Goddess”Another object he found was a funny-looking longish object, seen in the photo at right, which we pondered a bit. It looked like a leg, but we weren’t sure. Then, we discovered the archaeological books on excavations in eastern and south central Turkey contained many, many examples of this same object. It is the leg of one of the well-known “mother-goddess” figurines so common to this earliest period. The sketches below, are of similar legs found in Hacilar. (AA, vol. VIII, p. 147). These have been found by the hundreds, not only in Turkey but in every early civilization in some form or another. IRONThe most important object that he found was a small piece of metal which upon examination is seen to be 2 flat pieces of metal welded together. And it is iron. We will have it examined by electron microscope at a later date and will report on the results in a future issue. This was his first investigation in the region and for now, we have no conclusions except that this site provides some very interesting evidence that dates it to the earliest time period. The tools are similar to those found in all the early sites throughout the region that are called “Neolithic”. The “mother-goddess” is certainly one of the earliest types of figurines or idols found. But the baked brick is far larger than that found at other sites, even those dated to a much later date. This indicates construction on a larger scale or people who were used to handling larger objects, such as the 36″ sword blade we mentioned earlier that would be almost impossible to hold with one hand by people today. The presence of iron, not even considering the fact that it appears to be welded, would date it, according to secular archaeologist, to over 1,000 to 1,300 years later. This indicates that the knowledge of metallurgy was “advanced”, declining among certain peoples when they were isolated into groups by language barriers. Combined with the evidences of metallurgy near Noah’s home and the Araxes Valley (Ararat Plain), there can be no denial of the technical abilities of these earliest of peoples on the post-flood earth. Plans for Continued Exploration in the Babel RegionWhile the site Ron examined is quite large, he feels that the “tell” he photographed from the plane is a better candidate for Babel based on its immense size. Locating and investigating this particular site will be the next order of business and we will keep you posted as things progress. But whether or not the tower itself can ever be identified, the facts already demonstrated through the archaeological research of others are enough to show the Biblical account to be accurate. The assumption of scholars and archaeologists has been that man progressed through various stages uniformly all over the world, even though they admit that in certain areas of the world today there are people who are termed “paleolithic” or “neolithic”. Yet, in Turkey and the regions extending out around from it are evidences of people who appear “on the scene” with knowledge and abilities rivaling that of thousands of years later. All this in the land which contains people who speak over 50 different languages and dialects. The Major Civilizations after BabelEveryone, even the non-believer, is certainly familiar with the fabulous ancient remains found in Egypt and Mesopotamia, especially Sumer where the ancient city of Ur (NOT Abraham’s Ur) was found. But little is heard of the incredibly advanced civilization that arose in the Indus Valley in present-day Pakistan and then simply disappeared. It is from the evidences found in these 3 regions that the advanced technical knowledge of mankind in his earliest times is fully demonstrated. What we have discovered in gathering our research on these subjects is that the things which have been found that cannot be explained except by the Biblical account have been virtually forgotten- eliminated from most publications except perhaps the original excavation reports or other obscure books and papers. And I believe that some of what you are about to read will perhaps surprise you. One Major Center – Destroyed In a Few InstantsAfter Babel, we know that the people began to migrate to the different regions of the world. In the last hundred or so years, discoveries have been made that have shown that the earliest and most advanced civilizations were along the fertile rivers of the Middle and Near East – areas that were once lush and beautiful but today are desolate, barren desert regions. One very advanced early civilization leaves us no evidence whatsoever except ashes and shapes. 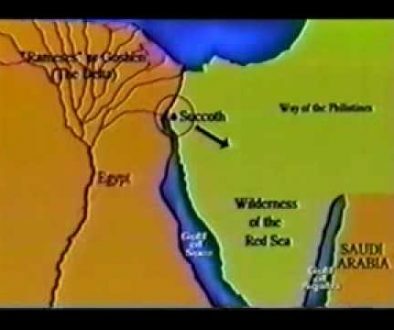 The Canaanite cities of the Jordan Valley, Sodom & Gomorrah and the cities of the plain, were without a doubt a most important center in the ancient world, for they were attacked by four kings of entire nations with their armies. Now that we know where they were located and their sizes, we know that they rivaled the early great cities of Egypt and Mesopotamia in all ways. Sadly, we cannot look upon their homes and temples except to view the ashen shapes. Archaeology has revealed 3 major civilizations that virtually spring up from “nowhere”, so to speak. They were highly civilized and had governments, possessed vast technology (though different in different areas), and each produced writing (all three had picture writing, then two develop a writing system). I believe there is no room for doubt that these were the three earliest large civilizations formed just after Babel. And what we have discovered in their ancient remains is evidence that these people were very intelligent and far more advanced than the civilizations that followed them for many hundreds of years. It is our belief that the time of the end began in 1798 and if we examine the history of man, we see that the VAST majority of achievements in technology of every kind was made from this time forward. But those who study and know God’s Word can see and understand that this increase in knowledge has a Divine purpose – for not only do we have this great knowledge, we have access to information and understanding that sheds great light on the validity of the Biblical account and the understanding of His prophecies. The frustrating part is that Satan is ever fighting to twist and misinterpret these things to further confuse man about God’s Truth. For those who want His Truth, there can be no denying what the evidence shows – everything happened exactly as the Bible said. THE INDUS VALLEY CIVILIZATIONWhen the numerous groups left Babel, just as when they left their original homes near Noah, they had to follow a river or coastline as much as possible. Following the Euphrates or the Tigris to the delta region near the Persian Gulf, then following the coastline east through present-day Iran into present-day Pakistan, we find the Indus River. Along this valley has been found evidence of a very advanced, very unique civilization that sprang up suddenly and existed at the same time as earliest Sumer – a unique civilization built by those who left Babel. The Indus Valley today lies in Pakistan which came into being at the time of the Partition of British India in 1947. But, for all practical purposes, it is a part of India. Physically, India (with Pakistan) is cut off from the greater part of Asia by the Himalayas to the north. Today, this Indus region is not a pleasant place. Except for the narrow strip of green along the river where artificial irrigation systems have been built, this is a forbidding, sandy desert, 120 degrees in the shade in the summer. It is one of the last places on earth one would expect to find the remains of cities. Yet, all along this river a civilization stretched 1,000 miles long, covering more than twice as large an area as Ancient Egypt or Sumer. A Completely Unknown Civilization Comes to LightThe early Indus civilization was completely unknown until early in this century when the railroad was being built and workmen found the ruins when they noticed the bricks. When excavated, cities were found that were technologically advanced to the extent that they rivaled some of today. A similar fate has befallen most of the early civilizations. Their boundaries were over 5 kilometers (3 miles) in circumference, which is no small town. Many of the accounts of these cities mention the fact that there are no doors or windows on the main streets, and as we read in the above account, they like to attribute this to some sort of “wind control” or other such explanations. But I suggest that this design is, once again, for protection from the wild animals that are reproducing far more rapidly than the human population. I suspect that this advanced knowledge of waste-disposal, etc. came from one who had expert knowledge of the subject after living with seven other people over a year in a ship filled with animals of every kind. The Incredibly Large Grain Storage BinInside the well fortified citadel of Mohenjo-Daro is a very large building, 150 feet long, 75 feet wide, with walls 20 feet high. This is positively identified as their granary, as others of similar size and design were found in other Indus cities. They are thought to have served the same function as a modern day bank or treasury, and hence their position in the city. The Mohenjo-Daro granary had 27 blocks with a recessed unloading bay for the carts bringing the grain. The granary at Harappa, another Indus Valley city of the same date, was built in 2 rows of six split by a street. Triangular ventilation shafts lined the back of the granaries. Outside, there were 17 round platforms for workers to process, or pound, the grain into flour. Picture Writing and Strange AnimalsTheir writing comes mainly from engraved seals, but is also found on fragments of pottery and tablets. It is a picture-writing of which about four hundred different signs have been identified; however, it has not been deciphered because there is no other known language with which to compare it to. I don’t know what this may mean, but the ONLY other place that writing similar to this has been found is on Easter Island where the huge, black carved heads are found. Whereas both Sumer and Egypt began as picture writing, or hieroglyphic, then went on to develop an actual writing system, there is no evidence that these people ever developed beyond the picture stage. This may have been because their civilization came to an end too soon. Their beautiful carved seals found in great abundance tell us of the animals there – we see monkeys, hares, doves, tigers, bears, rhinoceros, parrots, deer and great humped cattle. Since no monkeys or parrots live in this barren wasteland today, this is good evidence that this valley was once a jungle land. But some of these also show very strange creatures, such as a beast with three heads, an ox-like creature with only one horn, and two-headed snake-like creature. The major difference between this civilization and the other two major civilizations of Egypt and Sumer is the absence of any temples, which is usually the first thing found when an ancient site is excavated. Without deciphered writings and temples, it is difficult to know anything about their religion. Except there are the strange looking creatures on some of their seals which can only represent some mythical god-like creature. Some of these resemble the later gods of the Hindu religion, which are similar to those found in other parts of the world. Evidence of Communication with Other Early Civilizations of Southern MesopotamiaWhen the people left Babel, those who traveled the same basic route to their various destinations knew where those who settled along that route were located. The people of the Indus Valley most certainly knew of those who settled in Sumer, which was along the basic route to the Indus Valley from Babel. On the island of Bahrain of the east coast of Saudi Arabia (believed to be “Dilmun” of ancient records) are found seals of the Indus Valley designs along with those of Sumer, which place these two earliest civilizations as contemporary. What Happened to the People of this Early Civilization in the Indus Valley?The presence of ancient dams shows that flooding was a problem, just as it was in ancient Sumer as evidenced by the so-called “flood layer” which Woolley incorrectly believed represented the flood of Noah’s time. (He believed in the “local-flood” theory, not the universal flood of the Bible). Evidence of contact between the Indus Valley and Sumer disappears suddenly, which indicates that something happened to the actual civilization itself. The later occupation levels of the rebuilt cities indicate that they simply left the region when they had exploited the natural resources and turned the region into a desert. The fact that so few people were in the city during this attack is further confirmation that the majority of the population had long since deserted the area. All evidence of trade had ceased. Then, the Aryans took over the region. It appears that when they attacked, there were but a very few still in the cities at that time, as evidenced by the small number of skeletons found in this last occupation level. Well, the answer to this mystery is simple, and in fact, the ONLY answer. The pieces of the puzzle of mankind will never fit except in the context of the Biblical account. THE EGYPTIAN AND MESOPOTAMIAN CIVILIZATIONSThere is no need to go into much detail about these civilizations as we did with the Indus Valley civilization for the simple reason that almost everyone is familiar with these. In fact, we will not discuss the evidences from Sumer which are so well known. The world has been fascinated with ancient Egypt for the last 150 to 200 years, and due to the abundance of artifacts, much is known about these early people. However, as usual, for the most part the evidences have been “explained” in light of men’s theories instead of the Biblical account and the true picture has been distorted. When “kings lists” have been found, they have been construed to be a continual list- one after another- when in fact, it is known that different kings ruled at the same time in different parts of Egypt. Because of this error, scholars proclaim that the Egyptians go back to a time prior to the flood. Their common point of origin is again found. Below is seen some pottery from a pre-dynastic Egyptian burial. Note the ibex (goat with long, curved horns) on the vase at left. This same design is also seen on an early vase from Susa in ancient Elam (see photo above right). These 2 civilizations were very far apart and showed absolutely no evidence of early trade or communication. Yet, the design is so similar. Now, note the picture below right (top), which is a drawing of an ibex from the Palanh caves near Adyaman (a little west of Babel). Their common point of origin? The region of Babel. Another similarity can be also be seen by comparing the Egyptian pottery with the design found on pottery in Arpachiyah, north of Nineveh and east of the Tigris. In the drawing (below right), note the design of storks or herons- now note in the photo at left from Egypt, the design of ostriches on the vase at left. The repetition and usage of animals in designs are shared features that didn’t just “evolve” independently among these very separate early civilizations. These were designs, themes and motifs used when the people were one, united in language and purpose. After Babel, when they went their separate ways, they carried with them the methods and themes of design used by their families when they lived at their original home in Anatolia. Another more impressive similarity is seen in the knives shown left. The first knife, found in a pre-dynastic Egyptian burial, is made of flint with a gold sheet handle. But of importance is the “snake” design on the handle. This same motif of a very similar “snake” design can be seen in the second drawing of a knife, also from a burial, also made of flint but with a bone handle. Where did this second knife come from? It came from south central Turkey, in a male burial at â‚¬atal HÂyÂk- near Babel. The Hero, the “Lion Slayer”, AGAINAnd, of course, we find the “lion slayer” theme in the very earliest times of pre-dynastic Egypt. In this drawing from a pre-dynastic tomb, we see the typical pose of the hero with the 2 lions on each side or in each hand. (See lower left of photo at right). What is so very clear from studying the themes and designs on the earliest objects and artifacts is that certain events took place PRIOR to the dispersion of the people from the Babel area- and these things are found in the artwork (statues, wall and cave wall drawings, pottery designs, etc.) of each of the earliest civilizations. From there, we can then see how all the early pagan religions and earliest myths began with the same concepts, such as the “lion killer” and the “earth” of “mother goddess”. From there, though, they begin to develop their own peculiarities and distinctions- the result of being separated by the language barrier. Knowledge Possessed by the Earliest PeopleOptical Lenses and EyeglassesIf we go to our encyclopedia or history books, we read that lenses, be it in telescopes, microscopes or eyeglasses, are an invention of the last 400 to 500 years. Yet, there is evidence that early man had these devices long, long ago. In archaeologist Layard’s book, “Nineveh and Babylon”, chap. viii, pp. 16-7, he tells of finding a glass “lens of considerable power” along with two glass bowls in a chamber of the ruin called Nimroud. It is plano-convex, an inch and a half in diameter and 9/10th of an inch thick, giving a focus at 4 Â« inches from the plane side. Pythagoras lived in the 6th century BEFORE Christ. Plutarch speaks of mathematical instruments used by Archimedes “to manifest to the eye the largeness of the sun”. Archimedes lived during the time of Alexander. These are just a very few of the many, many references to optical lenses. In fact, it appears that these were so common and everyday that little was thought of the importance of writing about them. But in time, knowledge of these devices grew less and less until it was lost until man “reinvented” the idea over 1,000 years after the last historical mention of them. Ancient buildersIn the edge of the mountains of Lebanon, over 2,300 feet above sea-level is Baalbek. Nothing is known of this site prior to the time the Romans came in and built magnificent buildings over the existing remains. But it is the existing remains which are the most astounding ever found. In the below photo is seen the largest hewn stone on earth. It measures 68 feet by 14 feet. (Note the man standing by it and the one lying atop it.) Today, with our sophisticated engineering methods, it is doubtful that we could even lift stones such as those of this size. But these early builders not only chiseled out these “humongous” blocks, they moved them! At right, is seen the ancient foundation of a building at Baalbek which the Romans much later built upon. Note the size of the man standing on the left side, about 1/3 up from the bottom. Three great stones in this foundation measure 63’x13’x10′ and were placed above the sub-structure which measures 23 feet. Whoever built this structure had engineering abilities beyond our wildest dreams. This is an example of the pre-flood knowledge passed from Noah and his sons to their descendants after the flood. And as time passed, man LOST much of this knowledge and ability. Obelisks of Ancient Egypt Though of several hundred years later, the huge towers of rock erected by the ancient Egyptians is still a feat that has long puzzled the engineers of today. At left can be seen an obelisk at Asswan which was never finished due to flaws in the granite near its center. Though these have been found in numerous sizes, this one measures 137 feet tall and would weigh about 1,170 TONS. Many theories have been set forth as to how these “primitive” people were able to accomplish such astounding feats of engineering, such as the construction and erection of these obelisks and the pyramids, but the fact is that they did. GearsIf the knowledge of puzzling discoveries which cannot be explained aren’t simply put aside and forgotten, such as that discussed above, then they are considered freakish finds and are found only in sensational books which appeal to the tabloid newspaper set. “Serious” scientists and scholars remain silent on them, unable to explain their existence. Such an example is a find made in 1900. In that year, a sponge diver found the wreck of a Greek ship laden with statues and other objects. One strange object was a bronze instrument encrusted with calcareous deposits. When it dried and the outer wood encasing split, it broke into 4 flat fragments which revealed parts of geared wheels. While it cannot be determined exactly what this device was used for, x-rays revealed more than 30 gears of various sizes which meshed in parallel planes. There have been many discoveries made of objects of advanced technology which could not be explained and were therefore forgotten. But it only takes one to “upset the apple-cart”. Today, the “brilliant” scientists and scholars may tell the world that they have found “black holes” and other discoveries which cannot be proven, but they should keep silent until they can explain the simple evidences which show that early man possessed vast knowledge and abilities that we have only recently “rediscovered”. The evidence of man’s history is plain to those who will see. Babylon is Fallen, is Fallen!The time is at hand for the most stupendous events in history to occur, and those who will participate in the last great battle will need a faith that can NOT be shaken, even when confronted with seemingly miraculous events. Our ONLY safeguard will be in a rock-solid foundation,- a thorough knowledge and confidence in God’s Word. 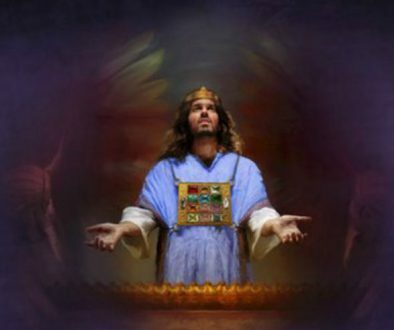 Pharaoh’s magicians were able to make it appear that they were able to do the same miracles that God wrought through Moses in the Pharaoh’s court. It will be no different just before the last trump. But those who do NOT know and have complete faith in His Word will be deceived. And don’t think this isn’t possible. It’s already happening. The difference is that we won’t be faced with Pharaoh’s magicians, who made no claim to be “of God”- we will be faced with those who DO claim to be doing God’s work, and then finally, with Satan, himself, as an “angel of light”. We look back at those of the time of Babel and wonder how the people could fall into so great an apostasy when they lived so closely with Noah and the ark that had saved humanity and the animal kingdom from total and complete extinction. But they did, just as Adam and Eve, who actually walked and talked with the Lord, fell. Do we dare think we’re better or smarter than these people? At Babel, the people wanted to be “one people”. They wanted their own name, not the Lord’s name. They willingly accepted Satan’s false religion which they took with them throughout the entire world. In studying the paganism of the earliest peoples, we can see that Satan took that which was truth and fact, and corrupted it through those who were led of him. By combining truth with error, the people who accepted it (obviously the majority) very quickly fell into complete apostasy. What God did at Babel did not prevent the ultimate outcome- it only delayed it until it was HIS time. The consequences of sin had to be demonstrated fully. Had the people remained together, united in purpose, they surely would have filled their cup of iniquity thousands of years ago. But by their forced separation due to the language and ocean barriers, the battle was drawn out in order that God’s purposes could be fully implemented. In order to offer fallen mankind redemption from their sins, the plan of salvation and all it entailed must take place exactly at the predetermined times. And now the time has arrived for the great finale. we have arrived at the time when the last decisions for eternal life will be made. 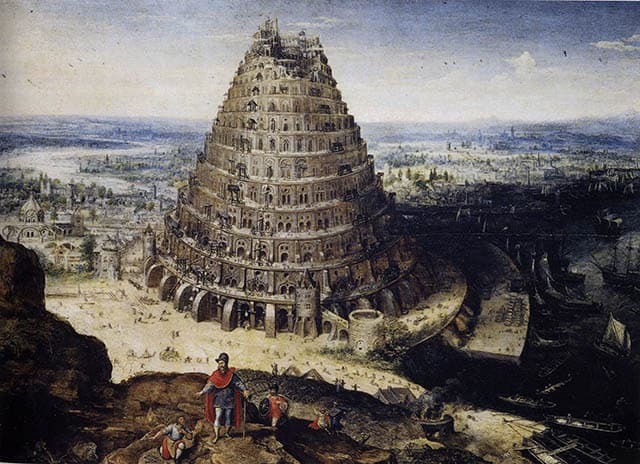 Is it necessary that we understand everything that occurred at Babel? Perhaps not everything- but we DO need to understand one thing. The influences of the pagan religion that began there still touch our lives to this very day. Does this shock you? Do you think, “Not me!” I respectfully ask you to think again. The church steeple which is so greatly admired is the direct descendant of the Egyptian obelisk which represents the sun-god. The day we celebrate the earthly birth of the Messiah was originally celebrated by the pagans as the birthday of Mithra, the sun god. The day we celebrate the resurrection of the Messiah, Easter, comes from the word, “Astarte”, the Chaldean goddess of heaven (“Ishtar” in Assyrian). But, how could this be true? In the infancy of Christianity, less than 300 years after Christ’s death, in order to make the true faith more appealing to the heathen, the Romans (who adopted Christianity as the official religion of the Roman empire) renamed many of the pagan holidays, celebrations, rites and even deities, and reassigned them to the Christian faith. Not one of these was instituted by Christ or His Father. These pagan influences and even doctrines (such as “immortality of the soul” discussed earlier) have remained firmly embedded in many churches throughout the last almost 2,000 years. But don’t be alarmed at this prospect. 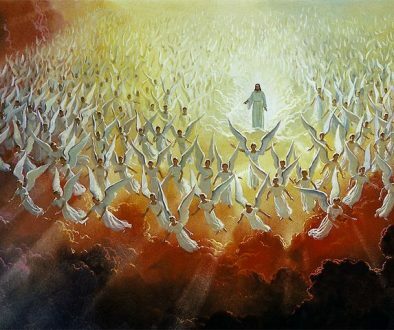 For when these things come to pass, “…look up, and lift up your heads; for your redemption draweth nigh.” Luk 21:28 The long, wearisome and dangerous journey from Babel to the last Babylon will be over.